The avadhut lives in the awareness of Aham Brahmasmi – everything is God. They are one with all of Creation. They live in the awareness of ultimate reality while living in a body. They are a ‘little off’ from this planet. They are outside the boundaries of time and space, yet are completely present to everything that is taking place. They have sankalpam siddhi, whatever they will happens. They have a special relationship with the Nature; they command on the Nature. They can make the rain start and the wind stop or make fire appear out of the earth, as Baba did with his miraculous stick. Or turn water into oil using the saliva from his mouth. Baba was the supreme miraculous master, miracles spontaneously happened around him all the time. They are still happening today. He is watching over the entire universe and each and every one of us. To understand the mystery of Sai is our blessing and our way. Through listening to and meditating on his life and his leelas (play) our false understanding is removed and we recognize that we are one with him and all that is. There is no greater bliss than to experience his love and living presence among us. 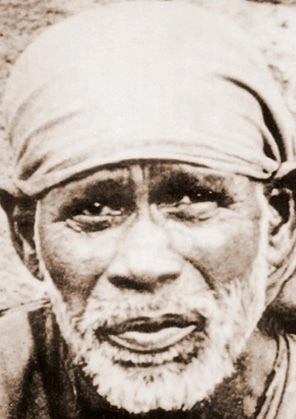 The divine stories of Baba’s life, his leelas, are inscrutable, miraculous and amazing. We can listen to the original stories of his life, and recognize that he is creating new stories now, new leelas in each of our lives. He is the Director. He is the real Doer. Sri Kaleshwar loved to say that Baba creates the problem, then creates the solution. He is at work in each of our lives creating the situations we need to learn the spiritual qualities of faith, patience, devotion, forbearance, generosity, humility, dispassion, discrimination and egolessness. His simple words to his devotees during his life who were both Muslim and Hindu – don’t fight. He loved all equally and taught that all are equal. He, as the sadguru, is here to remove the ignorance that you are different from him, that you are separate. You are not different from God. You are Divine. You are God. After he fulfills your needs and desires, he creates faith in you that leads you to the awareness of that ultimate reality, where there is no difference between you. You are the Supreme Consciousness, the same as he. Everything can be gained by thinking on Baba. When we focus on him, he is there. He wants us to read his stories, that is his instruction to us. He demonstrated to the devotees over and over through his innumerable leelas that he was indeed omniscient. He knew everything about everyone, as he knows everything about each of us. Shirdi Sai Baba is one of India’s greatest and most beloved saints. He is an incarnation of Shiva and a Dattatreya avatar, as well as Sri Kaleshwar’s master. Revered in India as Yogi Raja, the King of Yogis, Baba possessed the highest supernatural capabilities. Though he could have lived like royalty, Baba spent his entire life as a mendicant, begging alms in the tiny village of Shirdi in Maharshasta State. Over time he came to receive millions of rupees from his devotees, but always gave everything away to the poor. Baba came to live in Shirdi by the order of his master Venkusa, who told his young student that he must spend the rest of his life in the remote town. Before sending Baba on his way Venkusa gave him a brick with strict instructions that he was to sleep on it every night without exception. Upon arriving in Shirdi, Baba was met with extreme hostility from the villagers. So he sat under a nearby neem tree where he engaged in austere spiritual practice while open to all the elements. There he remained for 18 years until the villagers finally recognized his greatness as a healer and invited him in. For the next fifty years Baba lived in a dilapidated mosque he named Dwarkamai. Yet inside this mosque Hindu rituals were performed. Adding to everyone’s confusion, Baba was also known to regularly quote from the holy scriptures of both Islam and Hinduism. No one knew for certain what faith he belonged to and each group wanted to claim him as their own. However, Baba was everything and belonged to everyone. Never answering the question, he only replied, “All human beings are one. Our religion is humanity. God is One.” Truly a living embodiment of the unity of all religions, Baba was regularly worshiped by Hindus, Muslims and Christians alike. Today The “Shirdi Sai Baba movement” is the fastest growing spiritual movement on the planet. Hailing from all corners of the globe his devotees are a rich and varied tapestry of people from every faith and socio-economic background. The village of Shirdi has now blossomed into the one of the world’s leading pilgrimage sites, with millions flocking to visit Baba’s tomb and Dwarkamai each year. Typically it takes centuries for a saint’s tomb to develop such an extraordinary level of prominence. Protection, guidance and miraculous healings continue to flow from Baba in ever growing abundance. Just as he did when he was in his physical body, Baba develops a deeply personal relationship with each of his devotees and becomes a vital presence in their lives. When describing his beloved master, Sri Kaleshwar said, “Baba is the soul doctor to make your soul healthy, happy and glorious.” Shirdi Sai Baba is a grandfather to the entire planet, forever working to uplift and unite all of humankind. Simply take one step towards Baba and he will take 99 towards you. 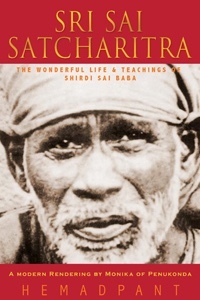 An important source of information on Baba’s great and often mysterious life is his authorized biography The Sri Sai Satcharita, which describes his teachings, miracles and day-to-day interactions with devotees. Much of Baba’s time was spent in the Dwarkamai sitting in front of his dhuni, sacred fire, taking on the pain and suffering of the world. 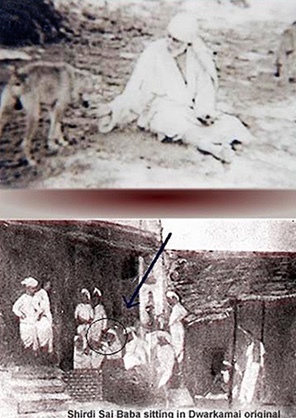 Countless wonders were demonstrated by Baba during the course of his lifetime including giving sight to the blind, healing the incurably sick, rescuing devotees from dangerous situations, changing water into oil, appearing in different places at once, and also dying and coming back to life after three days. Through his unique, one-on-one style of working with those who came before him Baba called for tolerance and peace between all people. His message also placed primary importance on strong devotion to God and dedicating oneself to humanity through service.